To go with the new PS4 controller, Sony also made brief mention tonight of a new camera that will also be released with the system. A revamped and improved version of Sony's camera tech, it'll serve as both a regular camera (for video purposes) while also tracking the movement of the new PS4 pad via its "light bar". The big feature is the new "Share" button, which, Sony says, will allow gamers to capture and broadcast their gameplay in real-time to their friends through services such as uStream. "Share" also will allow gamers to upload their video performances to Facebook. 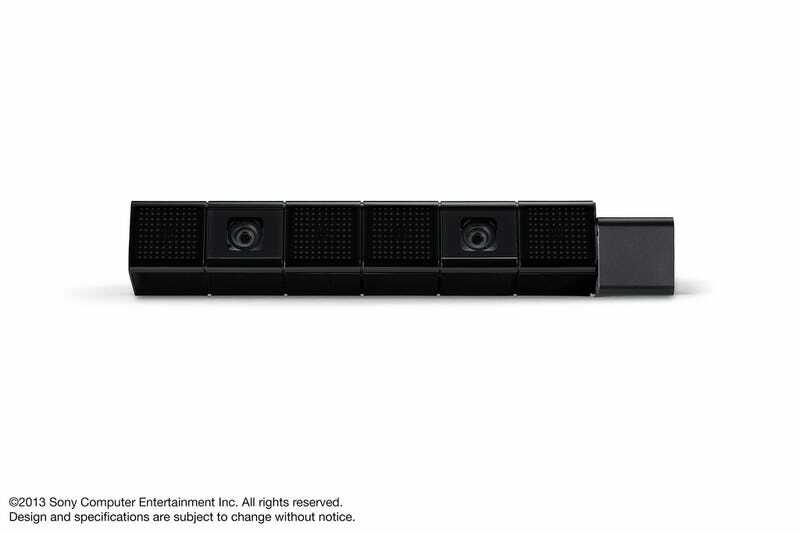 The PlayStation Eye camera also is getting an upgrade with the PS4. The "PlayStation 4 Eye" "incorporates two high-sensitive cameras that have wide-angle lenses with 85-degree diagonal angle views," according to a Sony news release. The augmented camera "enables PlayStation 4 Eye to cut out the image of player from background, or to grasp players position in front and behind,' says Sony. "In addition, users will be able to login to their PS4 with face recognition and are capable of using their own body movements or voices to enjoy games more intuitively." The New PlayStation Eye will be able to detect the color on the DualShock 4 Light Bar "to judge the positions of multiple players, and set characters in the same positions or let a character talk to a particular player, enabling players to enjoy games in new way." Additionally, the "DualShock 4" will feature a built-in speaker and headphone jack, offering stereo sound alongside multiplayer chat.